NO APAGAR DAS LUZES E A TOQUE DE CAIXA MAIS UMA VEZ O PREFEITO DE TERESINA IRÁ TENTAR TRATORAR A CLASSE TRABALHADORA INSISTINDO EM APROVAR A MENSAGEM DE REAJUSTE SALARIAL EXCLUDENTE,INCONSTITUCIONAL E COM ÍNDICE REBAIXADO! SEM NEGOCIAR COM AS CATEGORIAS! 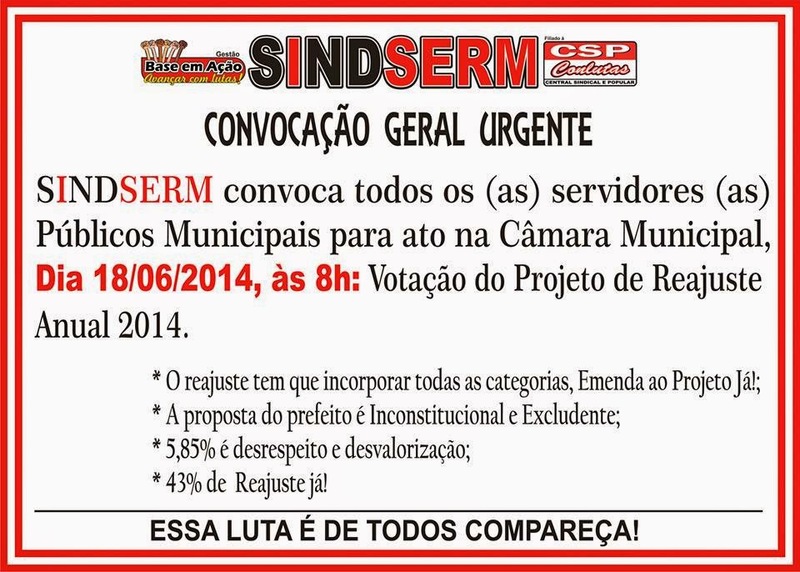 TODOS E TODAS A CÂMARA MUNICIPAL AMANHÃ 18/06/2014. AS 08:00.